This spectacular adjustable circle ring makes the perfect gift for anyone and for any occasion, especially for yourself! 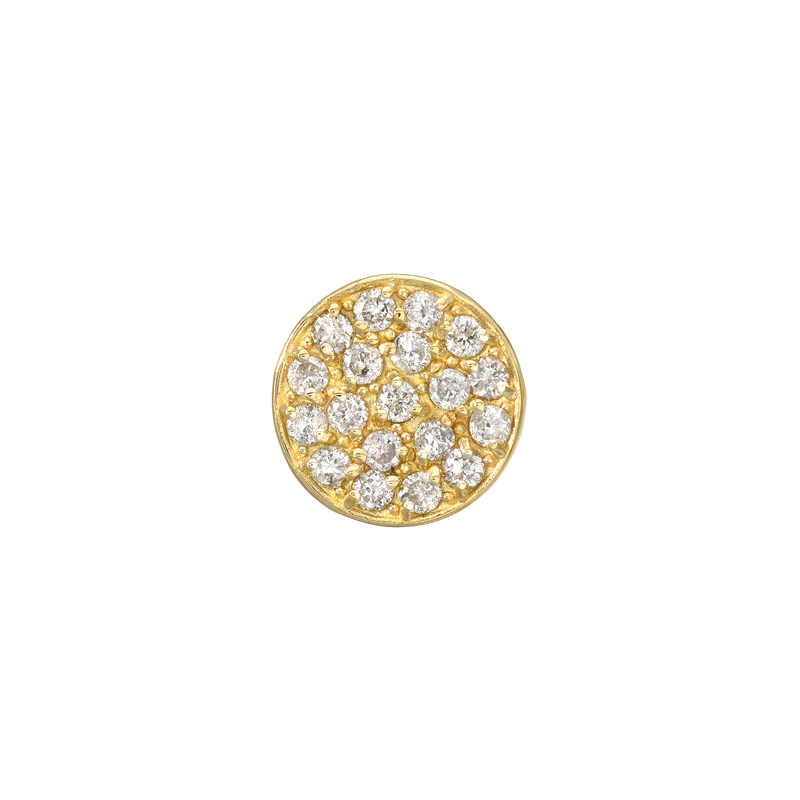 The circle top is completely covered in a cluster of shimmering diamonds, making it sparkle in any light. An adjustable band is polished to a mirror-like finish and completes the chic look. Only fine 14k Yellow Gold is used to craft this gorgeous piece. This ring is part of our Icon Favorites Collection and is sure to be a favorite when you add it to yours! Our rings are proudly handcrafted by professional jewelers in our California factory.